I don’t think folks are dying without it but it would increase their quality of play. We have two members who struggle with English (one more than the other) and both sometimes feel disconnected because they aren’t able to keep up with conversation. 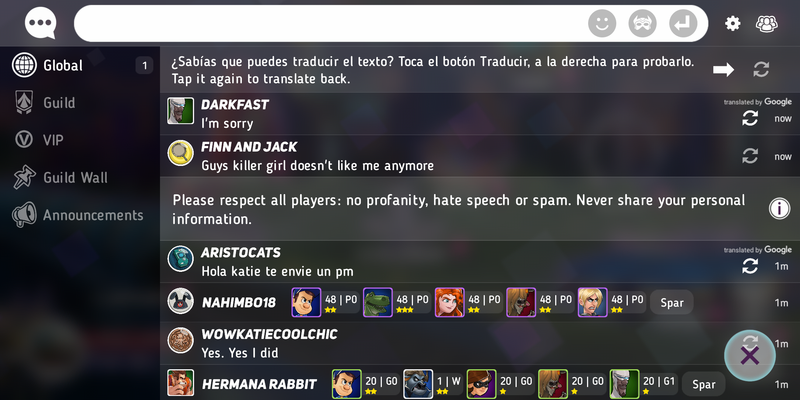 I know of another group on a different server who’ve solved that disconnection by just staying with other people who speak their particular language but that is also insulating. They’re less able to socialize with other players which for many is a huge part of why games like this are fun. I would personally hate it, and chat even less if this was implemented. This is a pretty expensive service that we license. it makes sense for the scale of DH. PQ isn’t large enough to make this a viable option. Ou est la gare Saint Lazare , s’il vous plait? Et sic de celeris docendo discimus similia similbus curantur.